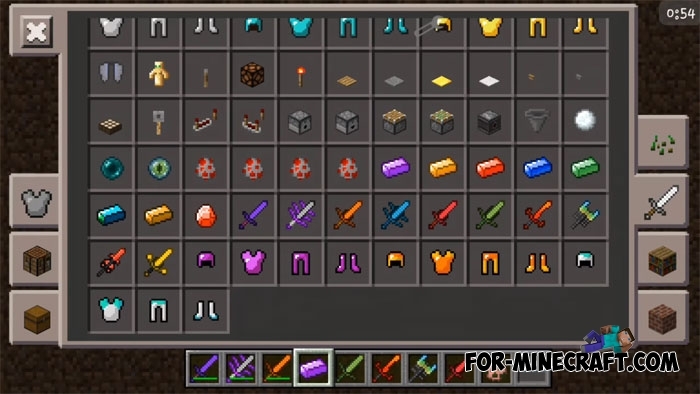 Nevermine is new ores and materials, as well as weapons, tools and armor, and of course crafting recipes, mobs and blocks for Minecraft PE. The modification is concentrated on adding everything that can only be added to your world so that you do not get bored and always do something. 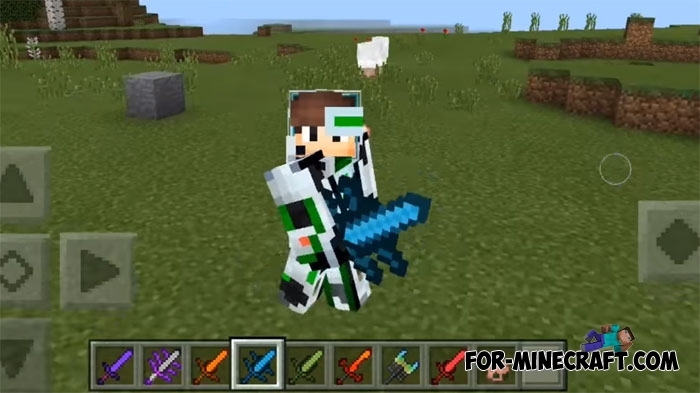 Look for new ores (they are also generated as vanilla, but only at different depths), melt them and get ingots and then crafting a powerful new weapon designed for battles against new creatures. If building is your favorite hobby in MCPE then make new tools and extract resources several times faster. The new armor is strong enough and looks impressive. How to install the Nevermine mod?